The price is $65 per person. 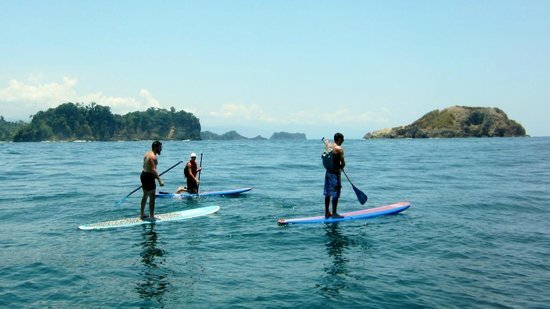 Paddle boarding is a very recent activity added to the area of Manuel Antonio and it has rapidly gained popularity as it is another way to spend time on the ocean and that is always going to be a good time. An professional bilingual (English and Spanish) instructor. A 20-minute instruction and security talk is given by the instructor to the guest, prior to entering the water. Guests of all ages in a good health condition. 7:30 a.m. and 2:30 p.m., tour normally lasts 3 hours. Sunscreen, hat and sunglasses, towel, appropriate swimwear, waterproof camera.